Acrylic on paper, size (flat) 335 x 295 cm. 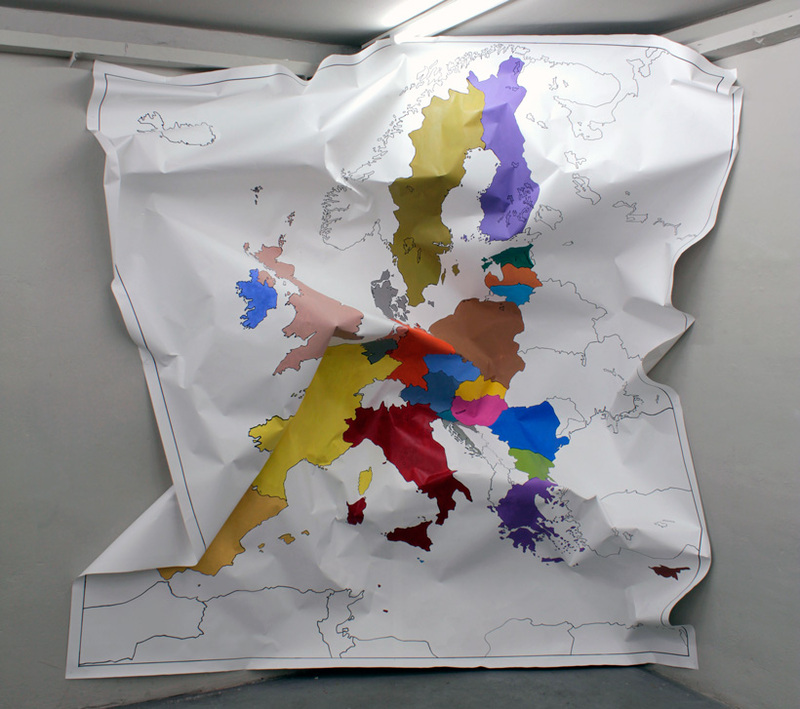 Based on (= hand-copied from) the first image in "Psycho-Mapping Europe version 2.0 – edition", with Croatia coloured in. Made on site in Acud 2015.